Employers, Young People (11-16) and STEM Education. Finding the Missing Link! 1 A city in crisis? The city of Birmingham is faced with a youth crisis. In 2011 almost 8% of 16-18 year olds in Birmingham were not in education, employment or enrolled on any training course (DfES, 2011). Currently, 20% of Birmingham’s young population (18-24 year olds) are claiming Job Seekers Allowance (BCC, 2013).Many studies such as the Heseltine (2012 access here ) report have highlighted that experience of work is necessary within the education system to prepare young people for the world of work. In addition to this, a recent report by the Social Market Foundation (Broughton, 2013 )claim that there is a fundamental shortage of Science, Technology, Engineering and Mathematics (STEM) graduates in the UK which is set to increase in the future. In January 2013 the Birmingham Employment Skills Board whose priorities are related to youth unemployment and improving the relationship between schools and employers (BESB Remit, 2012 ) commissioned a research project. It was in aid of exploring the relationship between secondary schools and employers when implementing work related learning. It also aimed to identify methods which would improve the relationship between the two parties. As of September 2012 the government eliminated the statutory duty to embed work related learning into the curriculum (Department for Education, 2013 ). Therefore, this project provided an early insight into the implication of this action. The report identified that 90% of Birmingham schools had some form of engagement with employers in the city. 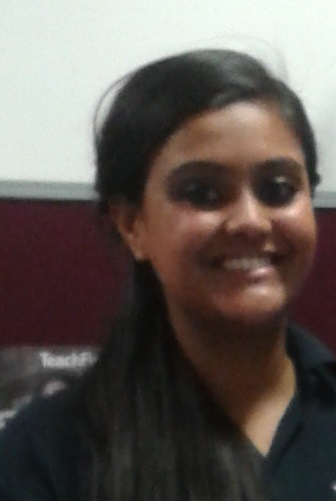 However the main relationship was concerned with employers providing pupils with work experience. Outside of this there were very limited activities between schools and employers. 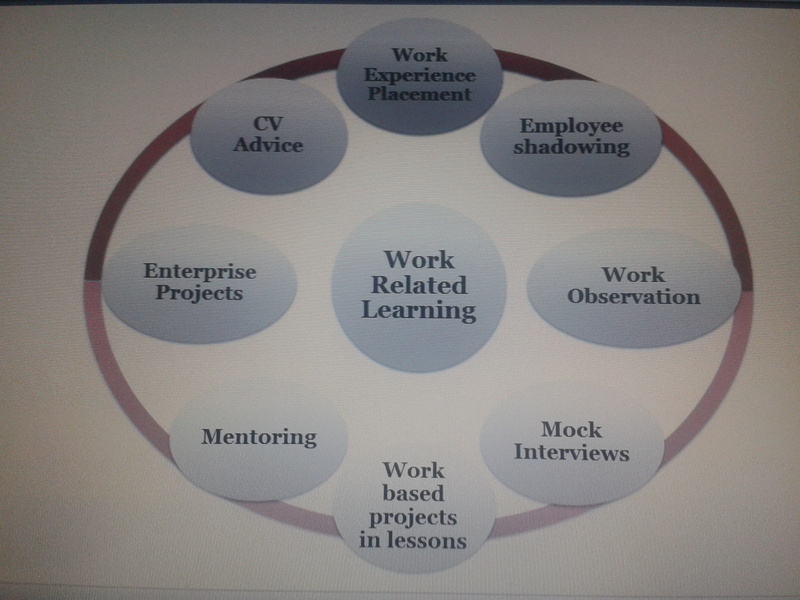 Figure one below presents the different methods with which employers can contribute to work related learning within a secondary school. Whilst my report did not specifically explore the relationship of STEM employers and schools it did instead look at the broader picture which will be focus of this discussion. Some of the points raised from the report can certainly be applied to the teaching of STEM subjects at secondary school level. One of the key findings of the report was both employers and school and pupils benefit from increase employer engagement within the education process. A report led by Intel (2011 access here ), highlighted that there is a level of disengagement within the education system for STEM related subject. This is partly due to the lack of applicability of STEM education to real life employment prospects. This in part, is related to the lack of engagement from STEM related industries within the education system. Science, Technology, Engineering, Maths, subjects which area wrongly perceived in the UK just to be about learning facts (Intel, 2011) when I’m sure most of us acknowledge it most certainly is not. A recent news headline addressed a concern that the new science curriculum will stifle creative, reduce practical leaning and encourage memory based learning (The Independent, 2013 ). There is a need now more so than ever for employers to engage within the education process to display to students the opportunities and realities that studying STEM based subjects will provide. I had many opportunities to interview various employers who possessed and interest in engaging with school yet did not do so on the basis that they prioritised other work activities. Likewise, where teachers are bombarded with high workloads they also prioritise other activities that are compulsory. Subsequently, employers have virtually no relationships with schools and any relationships they may have are typically on the basis of personal contacts (i.e they have a son or daughter at the school). This was by far the biggest barrier! So the question becomes what benefits to schools and employer gain from working with each other that would enable them to prioritise working with each other. Well to start, let me present a title page (Figure two) produced by a year seven pupil for my report demonstrating just how innovative young people can be. STEM engagement within schools can formulate as part of an organisation’s Social and Corporate Responsibility. Employers can advertise and market their organisation and make young people aware of their existence. Employers can develop engage with schools as an early recruitment method to develop interest in their organisation as a workplace. STEM employers need to work with schools in order to increase STEM uptake within the education system or else the skills shortage will simply widen. Employers can set projects for young people to complete in an area of study which they are interested in. There are many different means with which employers can interact with schools. Schools need to open up their doors to allow employers in and dedicate a strategy specifically related to employer engagement. Should employers and educators increase their dealings, then we are one step forward to addressing the STEM crisis in the UK. The key message I would like to outline with this blog is this employers have just as much to gain from interacting with schools. Employers can teach young people how to apply knowledge rather than just learn it. A most invaluable skill in any profession or subject! Interesting – do you have a copy of the research report in Brum please? I have sent you a copy of my report via your email ending .net. Please do let me know what you think of it. Really interesting post. I wonder whether the new Academy schools are any better than the state maintained schools in promoting this partnership working. It seems from your report that the situation is getting worse rather than better. Thank you for the comment. I think it depends completely on the school and their prioritisation of work related learning. I don’t think school versus academies makes a difference although I didn’t look into that specifically. Some schools such as Small Heath which is mentioned in my report utilise their work related learning as a tool to raise aspirations and simultaneously raise grades. I think for a while both employers and schools have acknowledged that the careers and work based guidance in schools is certainly in need of improvement. I think my report aimed to highlight that there does need to be improvement but also that improvement is also achievable. Some schools have exceptional work related provisions whereas other don’t and I think that’s the main issues. There’s no consistency across schools in Birmingham. I think it’s just as much up to employers as it is for schools to improve work related learning. I hope that both schools and employers can acknowledge that they both benefit from working with each other and I think that would make the situation better.